Frontier Touring and Arena Touring are ecstatic to announce that wildly popular British pop duo Bananarama will touch down in Australia in February 2019 for a series of shows. 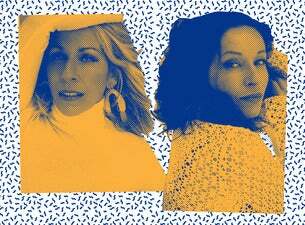 With a slew of hits to their name, including ‘Shy Boy’, ‘Cruel Summer’, ‘Robert De Niro’s Waiting’ and the eternally iconic ‘Venus’, it’s no wonder they’re the most successful female band ever, with the most charting singles in the world. Childhood friends Sara Dallin and Keren Woodward came up through the London punk scene, starting out as backing vocalists before joining forces with Siobhan Fahey and starting to write songs and perform with their friends’ bands. ‘Cruel Summer’, featured in The Karate Kid (1984), thrust Bananarama into the international music scene. The band’s 1987 album ‘WOW’ debuted at #1 on the ARIA Album Chart, and featured the smash hits ‘I Heard A Rumor’, ‘Love In The First Degree’, ‘I Can’t Help It’ and ‘Venus’, cementing them as instant legends. Now, nearly 10 years after the release of their last album Viva and three years since their last performance on our shores, the iconic duo will be coming back to Australia. Currently working on their 11th studio album, they’ve also been busy performing in sold-out venues across the UK and Europe, including a one-off run of UK reunion shows with former bandmate Siobhan Fahey. Sweetening the deal is special guest Tiffany, whose tracks 'I Think We’re Alone Now' and ‘Could’ve Been’ catapulted her to pop stardom. Now based in Nashville, she continues to write and release music, including her most recent album A Million Miles. With her debut album, she became the youngest female artist to top the Billboard charts, and her legacy continues on this historic Bananarama tour. Also on the bill will be German diva Amber, whose solo hits include 'This Is Your Night', and ‘Sexual (Li Da Di)’. Who could forget, though, her part in super group Starz On 54 and their hit ‘If You Could Read My Mind’, sure to ignite dancefloors all across the country! Bananarama are absolute ‘80s royalty. These shows are unmissable, so grab tickets before they disappear!